MINSK, Belarus -- Ukraine has banned action film actor Steven Seagal from entering the country for five years. Seagal, an American, was given Russian citizenship by President Vladimir Putin last year in a ceremony shown on state television. He has vocally defended the Russian leader's policies and criticized the U.S. government. A statement from the Ukrainian Security Service on Friday said Seagal's entry was banned "on the basis of Ukrainian national security." It did not elaborate. 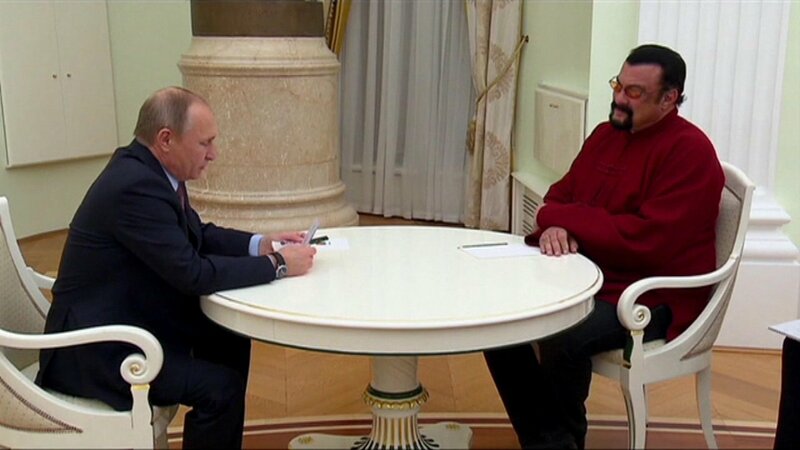 Seagal also reportedly has spoken in favor of Russia's 2014 annexation of the Crimean Peninsula from Ukraine.